It’s finally here! 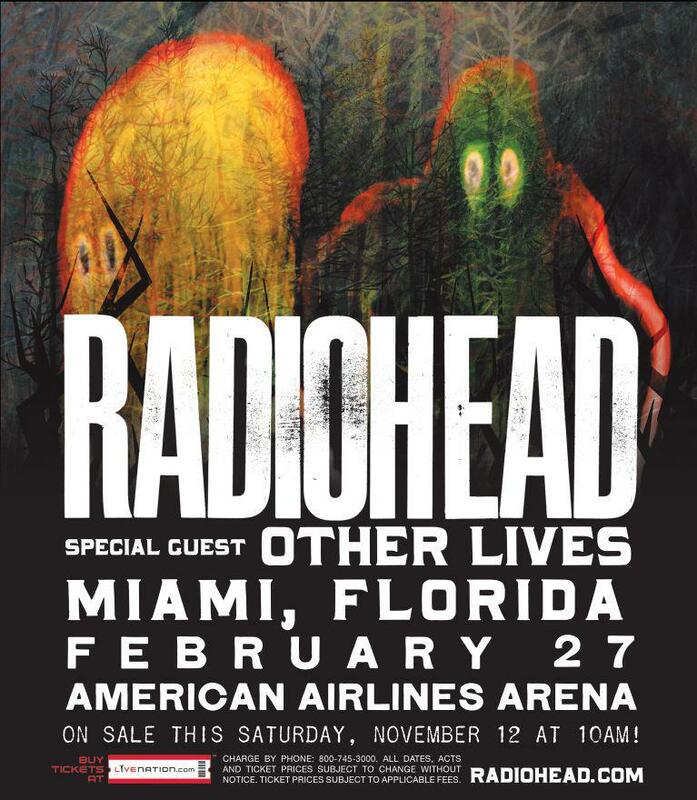 Radiohead’s 2012 tour starts tonight at American Airlines Arena in Miami, Florida. Opening act will be Other Lives. Are you going? If so, let us know in the comments! For those of us who are not lucky enough to attend, check back here for the setlist after the show. UPDATE: Below is the setlist, which includes 2 brand new songs, “Identikit” and “Cut A Hole”. Also, “Meeting in the Aisle” is also played live for the first time. Woah.